The poster submission deadline for the 2nd Eurographics Workshop on Visual Computing for Biology and Medicine (VCBM) has been moved to May 5, 2010. 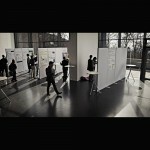 The workshop will be held in Leipzig, Germany, on July 1-2, 2010 and will address the integration of state-of-the-art visualization and image analysis for application to research in biology and medicine. 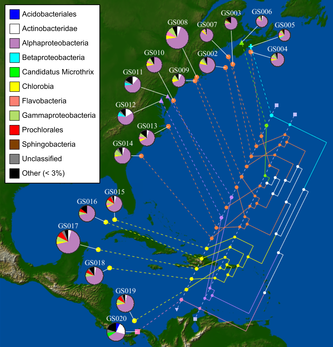 You may be interested in some Wikipedia pages we started that aim to provide a comprehensive list of computational tools for visualizing biological data. 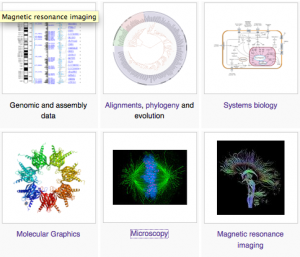 Starting from http://en.wikipedia.org/wiki/Biological_data_visualization you can access lists of tools for different areas, e.g., alignment, phylogeny, molecular graphics. The pages for systems biology and microscopy currently have only very few tools, and for MRI there is currently no ‘list of’ page. So, we encourage everyone to add their favorite tools! This will give visibility to your favorite tools, and will make these Wikipedia pages a more valuable resource for the community. Actually there is a back-story to these pages: due to space limitations, in the Nature Method special issue we were very restricted in the number of visualization tools we could mention. As a result, the list of tools cited was ultimately a subjective selection. This was a bit frustrating, as we were forced to remove for the tables several tools we liked. Thus the idea came about to create a more comprehensive list of visualization tools in each field. And the Wikipedia ‘list of’ pages seemed like an ideal place. In this video of the final 30 minutes of VIZBI, the session chairs shared their impressions of the most important themes and challenges to emerge during the meeting. We have now switched to using http://feeds.feedburner.com/vizbi – please update your RSS reader to be sure you get all future blog entries. 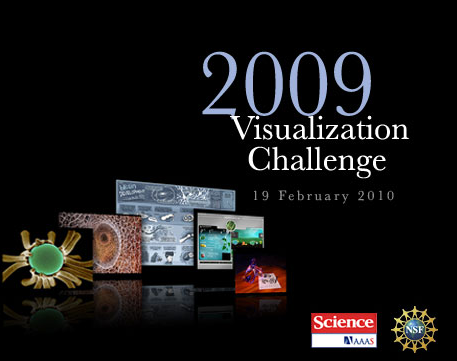 In case you missed it, here are the winners of the 2009 international Science & Engineering Visualization Challenge. If you want to stay up to date on everything VIZBI-related and get news about similar events, start following our Twitter feed: http://www.twitter.com/vizbi or our Friendfeed: http://friendfeed.com/vizbi, or on Facebook. This is in addition to the VIZBI wiki http://www.na-mic.org/Wiki/index.php/VIZBI2010. The VIZBI workshop was funded by the EMBO and they would now like your feedback before 15 March 2010. Please take the time to fill out the EMBO questionnaire. It is very important that EMBO receives feedback from as many participants as possible, as this information will strongly influence their decision to fund any future VIZBI meetings. 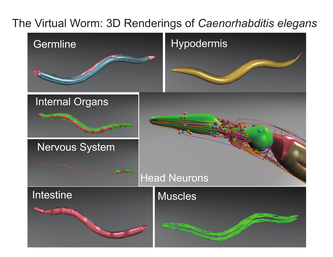 The winner of the first VIZBI prize goes to Christian Grove (California Institute of Technology, Arcadia, United States of America) for his poster on the Virtual Worm, co-authored with Paul Sternberg – congratulations Christian! 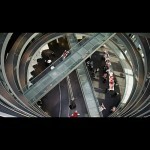 Together with the session chairs, the five images+abstract below have been selected as finalists for the VIZBI prize. The final winner will be announced after Bang Wong’s keynote talk later today. 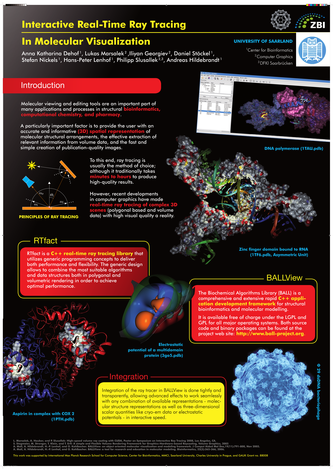 We are planning to put the VIZBI poster images in Microsoft Silverlight. If anyone at VIZBI has (or would like to have) experience in Silverlight please contact Jim. Following a conversation with Steve Pieper, he set up a Wiki and has invited VIZBI participants to use it for sharing their notes on VIZBI. I’m planning to post to it – feel free to join: http://www.na-mic.org/Wiki/index.php/VIZBI2010. To edit this wiki, you need to create an account (to fight spam) – just be sure to mention you are associated with the VIZBI meeting when you make an account. Thanks Steve! 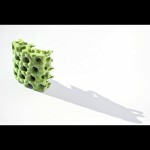 We have opened a VIZBI 2010 group on FriendFeed. 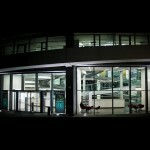 Please join and add your own comments about the talks at http://friendfeed.com/vizbi2010. Over the last six months we have been working with a group of scientists, including the VIZBI speakers and others, to prepare a series of reviews on visualizing biological data. Today these reviews have been published in a supplementary issue of Nature Methods (Volume 7 No 3 ppS1-S68). 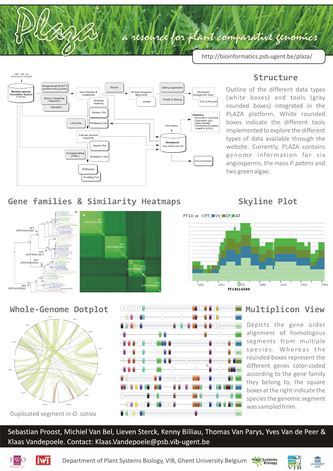 In addition to five reviews covering visualization of data from systems biology, genomics, 3D macromolecular structures, alignments and phylogenies, and image-data, the supplement also contains a commentary on future visualization. The editors have also written a 1-page forward and 2-page summary of all reviews. Thanks again to Bang Wong for help with the cover image. We have written the reviews to be understandable to beginners as well as credible to experts. We believe this collection will be a valuable resource for the community of life scientists using visualization as part of their research.